As the City Council elections are looming, Seattle has started mailing out Democracy Vouchers to residents for donating to candidates. Officials plan to send the vouchers to 463,000 residents Tuesday if weather permits. All seven of the council’s district seats will be open for grabs in 2019 elections, and as of now, 39 candidates have already applied for campaigns. The voucher program was approved in 2015 and debuted in 2017. This year’s election will be the second election cycle in this program. Eligible residents each receive four $25 vouchers that they can donate to candidates. Candidates are bound by special rules, such as limits on cash contributions and campaign spending. The program is meant to engage more people in the electoral process and help grass-roots candidates compete, and the program is funded by a 10-year, $30 million property-tax levies. It became national news in 2017 and appeared to diversify Seattle’s donor pool, as residents spent $1.14 million in vouchers on candidates for council and city attorney, though corporate money continued to flow through independent political committees. This plan has never been without critics. Two local property owners have brought a lawsuit against the program, and the lawsuit was defeated in King County Superior Court, but the state Supreme Court recently agreed to review the case. The council has made some changes in the program for 2019. The vouchers are being sent to a resident in February this year, rather than in January, for example. As of now, 25 candidates have made themselves eligible to collect vouchers by pledging to abide by the program’s rules. Only two — Alex Pedersen and Logan Bowers — already have qualified to spend voucher money once they collect 150 signatures and $10 contributions from residents. 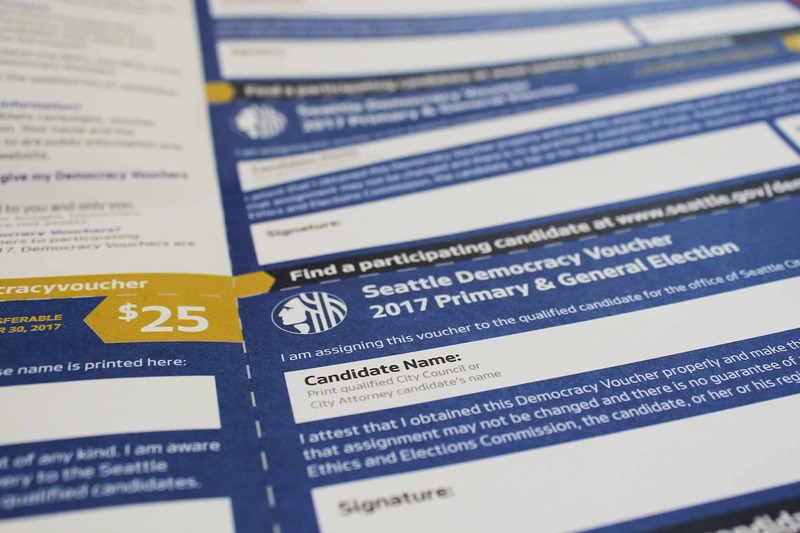 City residents can use their vouchers by submitting them directly to a candidate’s campaign, to the Seattle Ethics and Elections Commission or at a drop-off location. On the last day of this month, the commission plans to launch an online portal for the program where residents will also be able to access their vouchers. As the elections have been with many controversies with respect to funding, this indeed is a noble step to have a fair election at the City. Seattle Traffic Remains Sixth Most Congested in the U.S.